The second largest and most populous state in The US, Texas boasts some of the fastest growing cities in America. This growth has helped fuel innovation and expansion of both business and education. Texas Becoming a Tech Hub? In recent years, Texas has started to become one of the country’s most exciting tech hubs. With startups setting up shop and large companies finding a new home in Dallas, Austin, Houston, or San Antonio, the influx of technology has greatly benefitted the gaming industry. Note that Austin has the largest concentration of big game development studios. 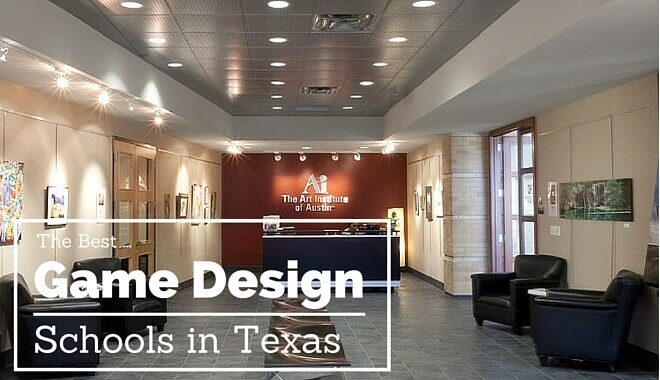 What are the top Game Design Schools in Texas? The full list and details of each game design school are below. If you want an excellent education from a reputable school known for its impressive graduate employment rate, look no further. Texas A&M University also offers more than 100 undergraduate and graduate degree programs as well as $75 million dollars yearly in scholarships and financial aid. The Bachelor of Fine Arts in New Media is for you if your goal is to receive a visual education focused around strong conceptual design and computer application. Aside from storyboarding and design courses, you’ll also be able to choose between two tracks of study: high-end or interactive animation. Note that this BFA degree is a five-year program. What’s great about this program is that you’ll get a strong visual education focused on computer application and conceptual design. The ability to choose between two tracks (interactive or high-end animation) is also great. The downside to this program is that it is five years instead of four, which is a big deal if you want a program that will prepare you in the typical four years. Incoming freshman’s can expect an estimated total billable tuition cost of $7,432.44. The cost of residential living ranges from $1,944 to $3,140 per quarter, depending on where you live. Various meal plans ranging from $1,350 to $1,875 are available. Houston Community College is an open-admission public institution that offers an excellent education that is also affordable. Two game design programs are available: Digital Gaming & Simulation, Video Game Design and Development Online Training Program. The Digital Gaming and Simulation program promises to give you the training needed to jump into the game industry as a programmer, artist, or designer. You’ll be involved with state-of-the-art technologies to help you learn the ins and outs of making a game. The good thing about both game design programs offered by Houston Community College is that they let you get involved in several aspects of game development. The downside is that one program is online and the other is only an Associate degree, which means no 4 year program is available. The University of the Incarnate Word offers a 3D Animation & Game Design program with courses that will prepare you for a career in not just video games but TV and film as well. What sets this degree apart from others is that it prepares you for several career opportunities, including special effects, video game production, visualization, and TV / Movies.You’ll have access to state of the art facilities with the latest hardware and software available. The strength of this degree is that it also delivers a strong focus on how good design and storytelling work together in a video game to create captivating worlds like no other entertainment medium can. The downside to the school is that there really isn’t a game design degree based around the Computer Science side of game creation. Lee College is one of the top ten schools in the U.S. for associate degrees awarded in Science technologies, which includes their Game Development Specialist program. 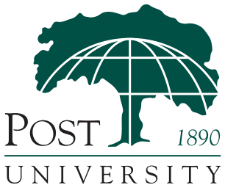 It has also been ranked in the top 10 percent of community colleges by the Aspen Institute for two years running. Lee College has a program that provides a versatile education focused on the fundamentals and application of video game development. This means you’ll get hands-on experience with not just programming and graphic art but also storyboarding, animation, and more. Teamwork is also emphasized to prepare you for what it’s like to actually work in a game studio environment. Like any good game design program, the AAS features a capstone requirement that has you collaborating with other students to create a game. This is perfect for preparing students to work in a professional game studio. The downside to this school is that no four year or graduate programs are available. Richland College has been around for only 40 years but is nonetheless one of the best schools in the Dallas area. This includes being the only community college to ever receive the Malcolm Baldrige National Quality Award given by the White House and the Dept. of Commerce. The Engineering Business and Technology division at Richland College offers a two year AAS degree in Game Design. Courses you’ll be taking include Digital Imaging, 3D Animation, Intro to Game Design & Dev, Level Design, Motion Capture, and more. You’ll also have a choice of two tracks: Art and Animation or Programming. This lets you decide if you want either an artistic background in game development or a more technical one. Both tracks require that you take a Game Simulation Group Project course that has you make a game with fellow peers. What’s great about this program is that you’ll receive good training in various areas of game development and will also get to choose two very different but equally impressive tracks. However, if you were hoping for a Bachelor’s degree or a 4 year program, you won’t find one at this school. SHSU is recognized as one of the best schools in the country for online graduate programs and is classified as a “Community Engaged” university; an honor only awarded to 311 institutions in America. Sam Houston State University has a program that will earn you a Bachelor of Fine Arts in Computer Animation. Their collaborative game design program focuses on training you in the areas of 2D and 3D animated storytelling and requires that you complete a Workshop in Art Studio and History course and BFA portfolio review just to continue after your sophomore year. Some of the courses you’ll be taking include Character Animation, 2D Animation, 3D Computer Animation, Pre-Visualization, 3D Modeling, and 3D Animation for Interactive Games. While the Art Department requires that you own a Mac laptop with the latest version of Adobe Creative Suite installed to participate in the program, there are plenty of financial aid and college discounts available to help with costs. The strength of this school’s game design program is that it offers a strong emphasis on the art and animation side, which is a much-needed skill in game development. Aside from the program and computer requirements, the downside to this school is that no program is available that focuses on the programming side of game creation. This young but growing school offers two different programs that allow you to build a strong portfolio after working on three team-based game projects. The Master of Interactive Technology in Digital Game Development degree lets you choose one of four specializations: Programming, Production, Art Creation, or Level Design. The other video game design degree is the Professional Certificate in Digital Game Development, which is the same as the MIT program but without a thesis project. The certificate program only offers three specializations: Programming, Level Design, and Art Creation. The strength of this program is the fact that it offers four different specializations, with the only downside being not having the option of a Production specialization with the certificate program. The 2015 Times Higher Education magazine list of the world’s most outstanding young universities gave The University of Texas at Dallas 16th place. 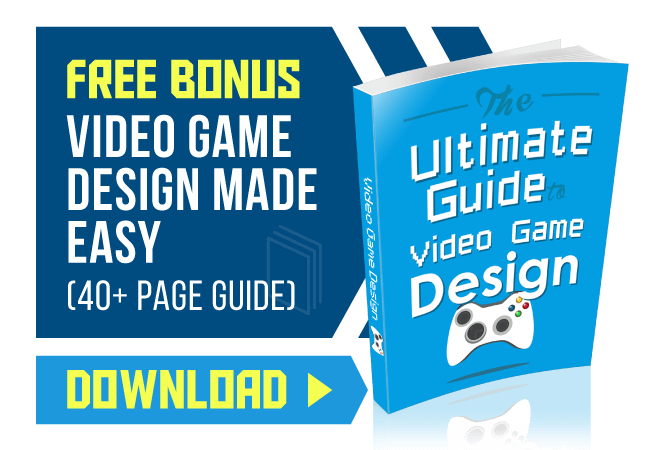 Here you’ll have access to two game design programs. The undergraduate program is a Bachelor of Arts in Emerging Media and Communication, which trains you to be a media maker capable of using cutting edge technology to work with mobile design, web production, social media, and more. The Master of Arts in Emerging Media and Communication continues that training while also offering a better understanding of how an ever-changing media landscape continues to transform our culture. If there’s one entertainment medium that continues growing faster than anything else, it’s video games. The biggest benefit of being a part of the Emerging Media and Communication program is, that unlike most schools, there’s an option to continue your studies via a graduates program. However, the fact that this program doesn’t entirely revolve around game design itself can be seen as a negative. The Communication Design department at Collin offers both an AAS in Animation as well as a Certificate in Animation. You’ll have access to the latest tools and technology needed to learn how to obtain a career in graphic design, web and interactive design, animation, digital video, and more. Both programs also allow you to choose one of two tracks: 3-D Animation and Game Art. The latter focuses on learning how to conceptualize and create 2D and 3D art for computer games. Courses on level design, animation, and game engines are also required. 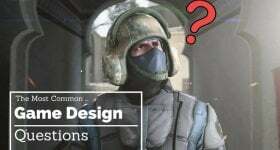 While the two Animation programs are perfect for someone who wants training in the art side of game development, the school does not offer anything on the programming side. If you’re interested in a program that will help you become a game designer by focusing on various concentrations, the Digital Media Technology Associate of Applied Science at Northwest Vista College is for you. This AAS degree is perfect if you eventually plan on pursuing either a four-year degree or excellent entry level position. Of course, the problem is that Northwest Vista College doesn’t offer such a four-year degree themselves. The first one is a Bachelors of Science in Computer Science degree that gives you the knowledge and training needed to create games from a programming and engineering perspective. The associate degree in Applied Arts & Sciences is a shorter and less intensive version of the BS in Computer Science. If you ever decide to continue your studies, a graduate program in Computer science is also available. To earn a Master of Science in Computer Science you’ll need to complete four challenging courses dealing with computer architecture, network design, algorithms, automata languages, and more. Having two undergraduate degree options is a big plus, as is the graduate degree. Of course, you’re out of luck if you were hoping for gaming degrees that teach the art and animation side of game development. What if you want to learn game design, but don’t have the time to be a full-time student? For aspiring game designers who need a flexible schedule, we recommend the accelerated online game design program from Post University. This accredited course will teach you game design essentials while providing you with transferrable credits, financial aid options, and career assistance. Graduating students will receive a certificate and have the knowledge and skills to start designing real games and building their portfolios. For aspiring game designers, developers, animators, and artists, you’ll be sure to find a great fit at one of the many Texas game design college programs. While putting together our lists of accredited schools, we noticed Texas now ranks in the top 3 (with California and Florida) for gaming education and careers. The list below showcases the top game design schools in Texas schools offering accredited video game design or development degrees. You’ll find traditional 4-year schools, as well as specialty schools that focus solely on design careers, and even some flexible or online options. We did our best to place our favorites near the top.